For the casual lift chair user, a two-position model offers the comfort of a slight recline to make your afternoons in front of the TV a bit more relaxing. Options vary from model to model, but customization for your specific needs has never been easier with our menu ordering system. Browse our selection of two-position lift recliners using the site map below, or call 1 (800) 797-4654 to speak with our liftchair experts about designing the perfect chair for you! Features integrated battery backup, arm and head covers, and a button-back design. 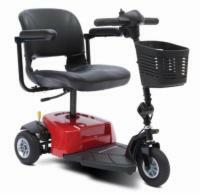 This solidly built lift chair will provide years of worry-free service. Call today for our lowest unadvertised price. The widest Heritage Collection lift chair you can find. Not only that, but it also has an impressive 600 pound capacity and it's built with heavy duty components to last longer.